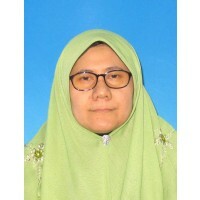 Professor Dr. Norma Md Saad started her career at IIUM as an Assistant Professor. Her areas of specialization are International Trade, Islamic Economics (Waqaf and Zakat) and Islamic Finance (specializing in Islamic microfinance). Her teaching and research have focused on Islamic banking and finance, intra-trade patterns of major economic blocs and their impact on regional integration. She is also actively doing research on the area of Islamic Economics and Finance investigating the efficiency of corporate entities in managing Waqf institutions in Malaysia and other selected countries. She ... show more has also been commissioned by the International Shariah Research Academy in Islamic Finance (ISRA) to conduct a study analyzing the current structure of Islamic banking in Malaysia to provide policy recommendations to the regulator of Islamic banking and finance in Malaysia. Prof. Norma has published a few books (including chapters in books) in the areas of Islamic Finance, International Trade, Macroeconomics and Business Mathematics. She has also published some of her works in the internationally recognized refereed journals.